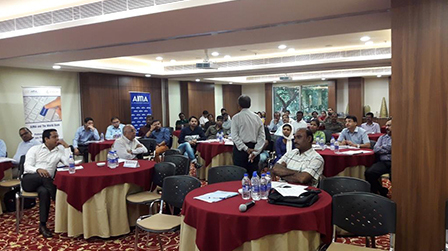 AIMA, authorized training partner of Government E Marketplace, organized training program on Government e Marketplace (GeM) scheduled on December 14th 2018 at AIMA premises. The inaugural address was given by Mr. Suresh S Kumar, Additional CEO of GeM, where he enlightened the audience with the journey of GeM as a body and how it evolved itself by incorporating various changes. He also mentioned the frequency with which updates are happening in the portal and encouraged the audience to register for GeM . The session was attended by senior officials dealing in Procurement / Finance from organizations like SAIL, Cochin Shipyard limited, RECL, HPCL, NBCC etc. 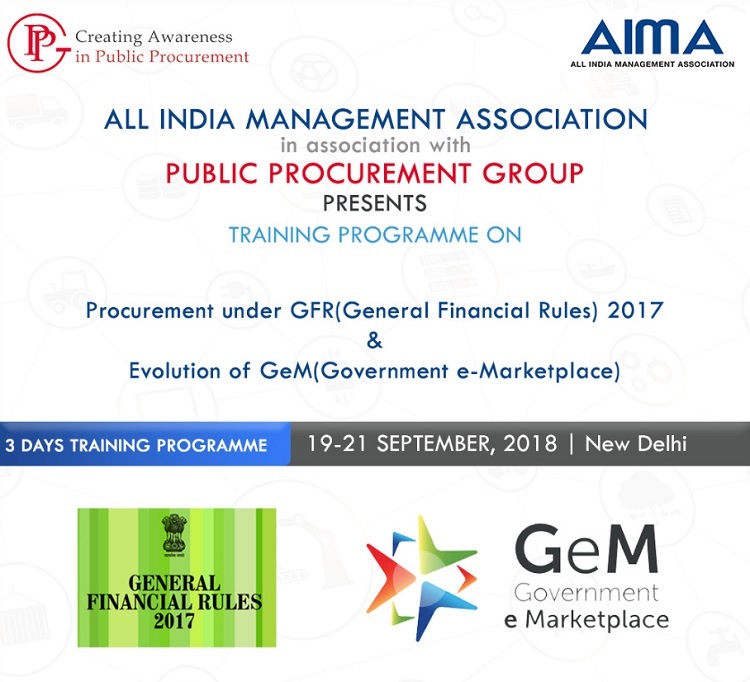 AIMA in association with Public Procurement Group organized training program on Procurement under General Financial Rules 2017 and Evolution of Government eMarketplace. The program aims to enable an improved, efficient and effective framework of fiscal management along with the necessary flexibility to facilitate timely delivery of services. The training also supported in sensitizing participants about understanding of the Government e Marketplace. 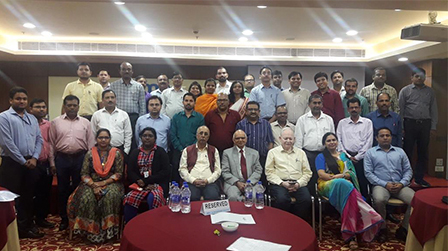 Some of the participants who attended such training program are from companies like National High Speed Rail Corporation Limited, AIIMS, Eastern Railways, National Health Mission, Karnataka , NABARD, National Institute of Wind Energy etc.